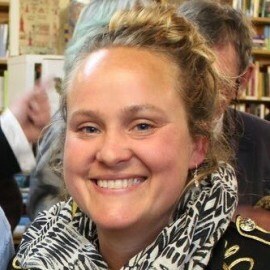 K J Whittaker is the Carnegie-nominated author of six YA novels published by Walker under the name Katy Moran. False Lights, set in England in 1817, two years after Napoleon has won the Battle of Waterloo, was published by Head of Zeus in 2017. ‘The quality of the story in itself is sufficient to carry this novel, but excellent writing and characterization pushed it up several notches—with special mention for Hester: a fizzing-with-life, believable and resourceful heroine if ever there was one.’ Elizabeth Buchan, Daily Mail.